Rabbi David Silverstein in Jewish Law as a Journey: Finding Meaning in Daily Jewish Practice makes a gentle and persuasive case that Orthodox Jewish practice is an excellent avenue of approach in growing closer to HaShem (God). Silverstein takes different topics, like morning prayers or wearing teffilin, and provides multiple reasons why the practice(s) draw us closer to God. 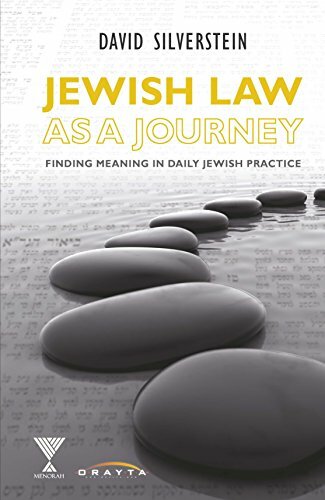 This is a great approach, for in Judaism, practice is multi-layered and seldom performed for one reason. Using both ancient and modern sources, Silverstein is a kind and informed voice in an often shrill world orthodox dos and don’ts. Writer of fiction and non-fiction. I love hearing from readers. Please feel free to comment.